Am I seriously the only one that thinks shoes are the secret weapon of an outfit? Most of us, when judging someone's outfit (don't lie - we all do it! ), look first at the top. Are they wearing an edgy leather jacket? A classy duster coat? Then onto the shirt...the hidden layer under the outerwear. Especially in winter, this is normally a basic black/white/grey top hidden beneath our beautiful scarfs. Then the bottom half. Jeans? - light or dark denim? Bringing 90s back with the acid wash are we? It's almost as if we prejudge the outfit. We look at these basic things and make an assumption on what that person's style is. But as they walk away, you get to see their full outfit. You get to see their shoes. Your whole opinion is changed. They could have been wearing a Jack Wills hoodie and ASDA trackies, but wearing the most amazing shoes in the whole world and you'd suddenly give them 100% of your respect. 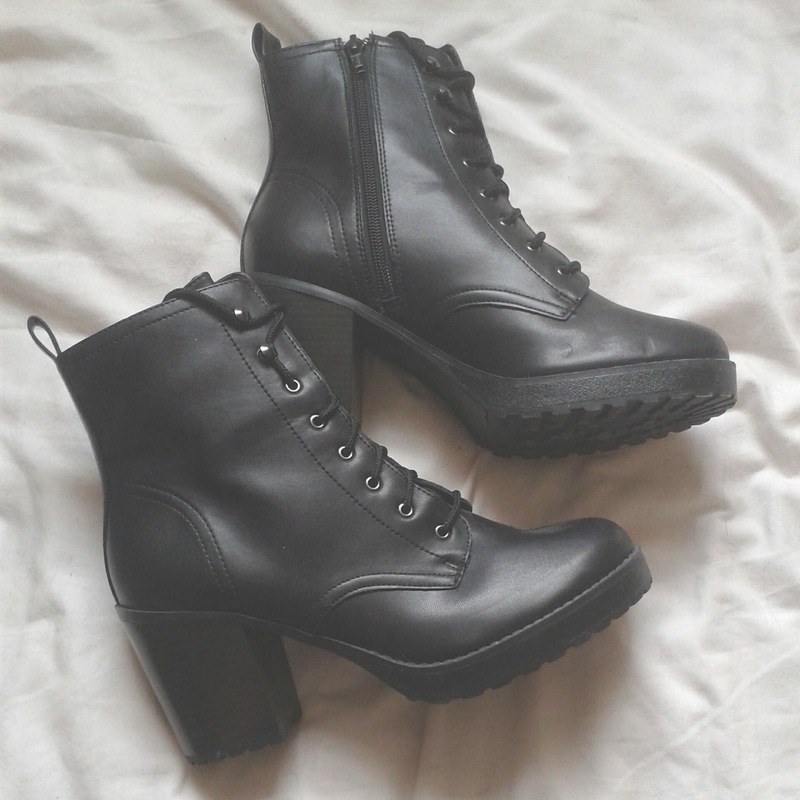 For me, the best shoes are the edgy daring ones...and if they're in black, even better! It's hard to describe what I mean by these types of shoes. Instagram user @aliencreature has a whole shoe collection dedicated to this particular style! I think this picture will show you better than I can describe through a keyboard. 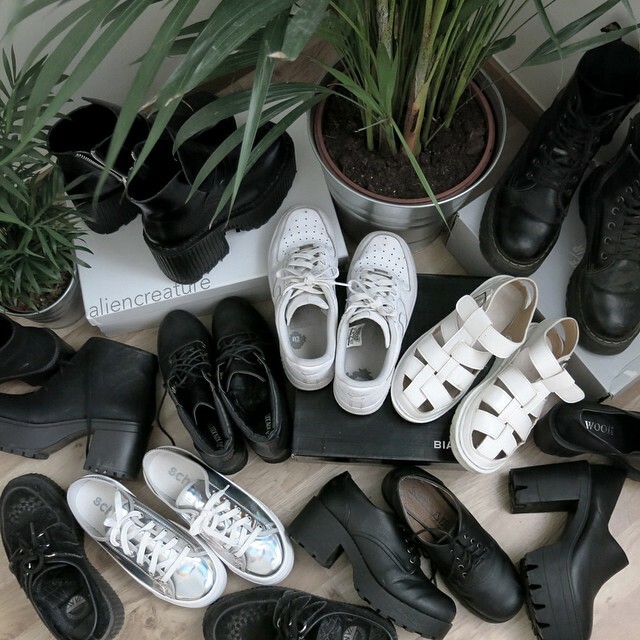 These kind of unique shoes (for example, creepers) add a bit individuality to your wardrobe. The 90s trend of jelly shoes also came back for a short period of time. 'Cybergoths' or people following the 'cybergrunge' trend on Instagram and Twitter seem to have an addiction to these (as well as holographic e-v-e-r-y-t-h-i-n-g) and to be perfectly honest, I admire them for being so brave! Jelly shoes are a guilty pleasure of mine. I love them, but I'd be terrified to wear them. This is why whenever I see anyone in public showing off these shoes, I silently applaud them. But anyway, I'm going off topic. It's all about opinion. If your idea of the most amazing shoe is Nike trainers then you could see someone wearing them and it would change your whole perspective of what you had originally thought about them. Shoes have the power to change you...literally. They have the power to change other people's perceptions of you. When I wore my new gladiator ankle boots to sixth form, I got more compliments on them then I ever did when I got my hair cut or put my makeup on differently. See, that's evidence! Good shoes make you talked about. Good shoes give you people's respect. Although, to be honest, I respect any woman that wears heels in public anyway. I love this post and the boots!